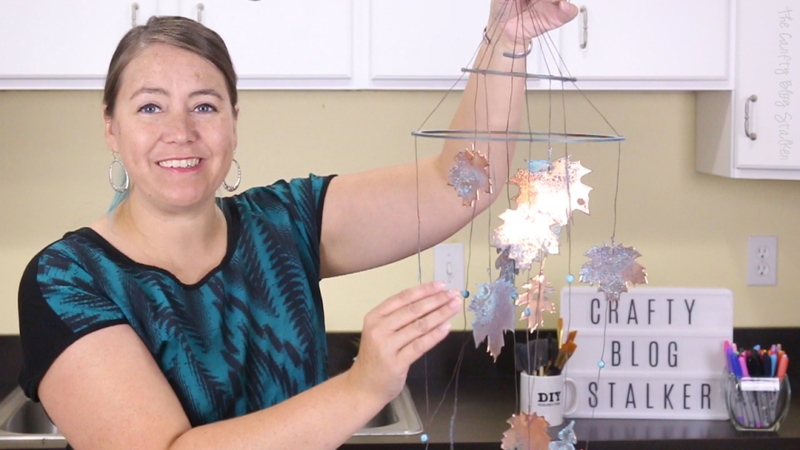 How to make a handmade copper leaf mobile perfect for Fall. The craft kit includes all the supplies you need. 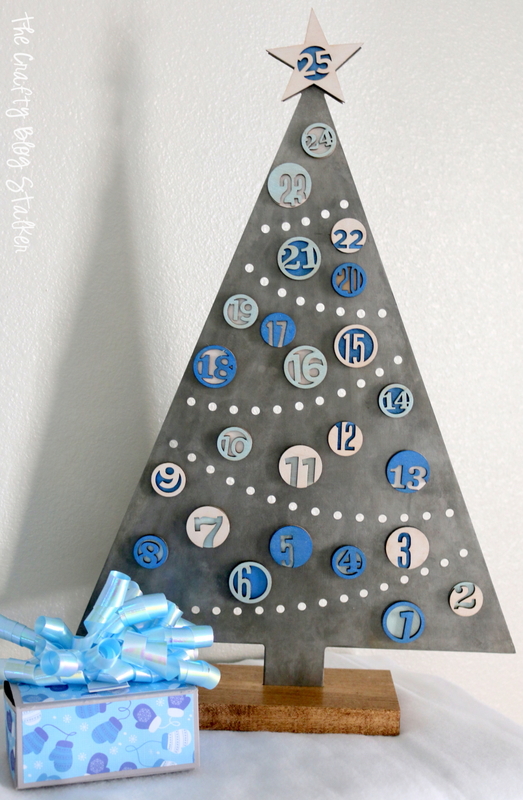 A simple DIY craft tutorial idea. A beautiful mobile is very relaxing to look at, whether you are a baby or a full grown adult. At times, I have felt silly that I get caught up in the beautiful movements of something as simple as a mobile. They really are magical! The mobile I’m showing you today is no exception. 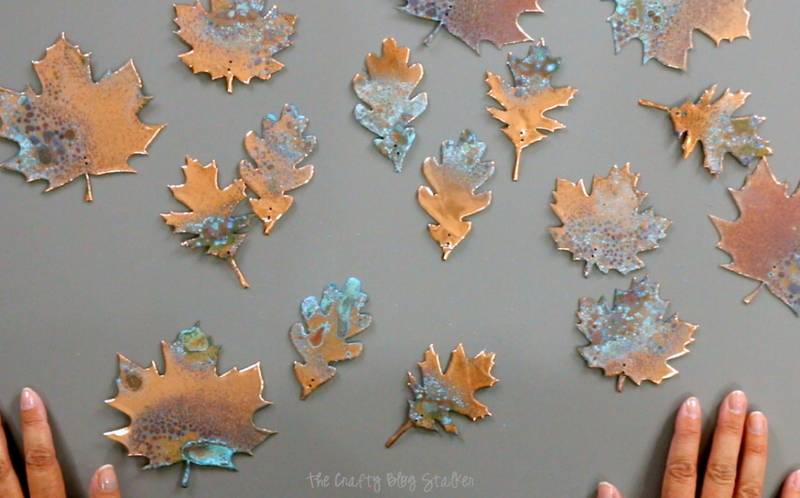 The teal patina on the copper leaves is gorgeous making each leaf unique. This could be a colorful piece of fall decor or keep it up all year long, and could easily be hung inside or out! Sadly, this kit is no longer available to purchase. Begin by cutting the wax linen thread into specific lengths. 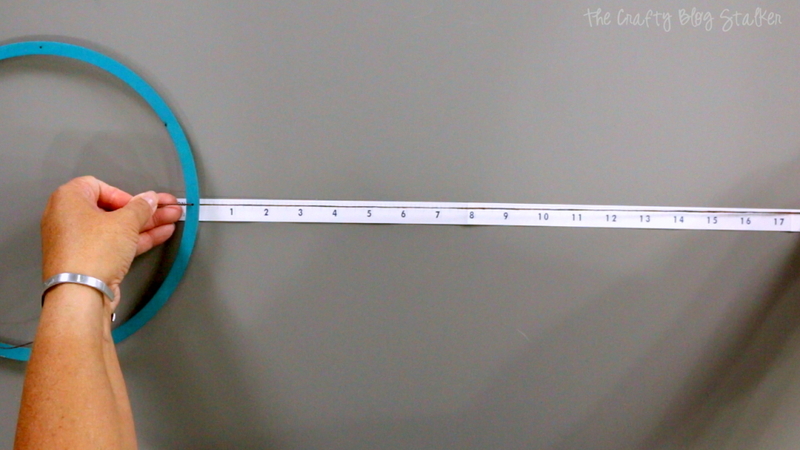 Starting with the large wooden ring, take a strand that is 36-inches long and thread into each hole. You want the coming out of the bottom to have a length of 18-inches. Get the strand to the right length and then string the top part of the thread around the wooden ring and up through the same hole. Do the same to the three remaining holes on the ring. Take the smaller ring and the lengths of 30-inch wax linen thread. This ring has eight pre-drilled holes. Do the same as above, threading the linen thread through every other hole, leaving 18 inches at the bottom. Bring in the larger ring and thread the top thread (not the 18-inch tails) through the empty holes in the smaller ring. 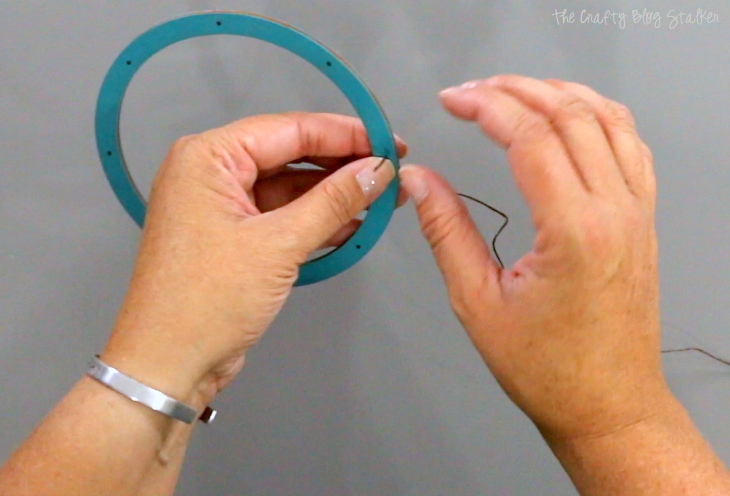 Measure the length of thread between the larger ring and the smaller ring at 3 1/4-inch, then secure in place by looping the thread around and pushing through the same hole as done before. 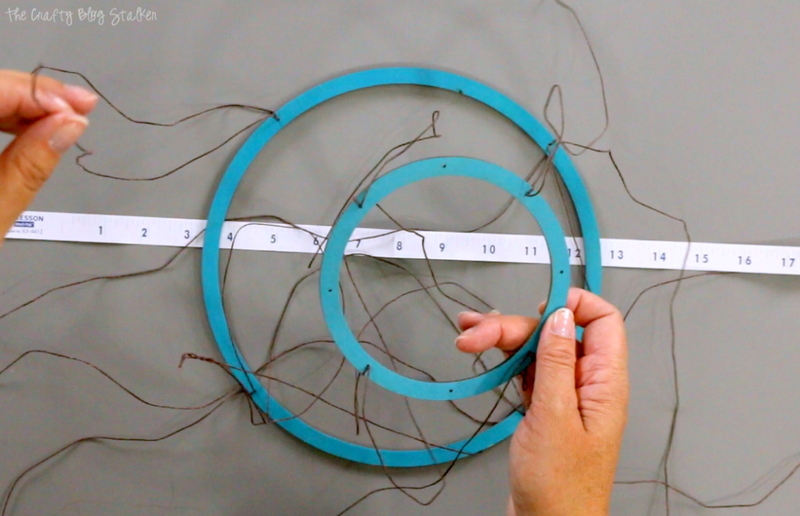 Join the top threads together, and wrap around a finger to keep them out of the way. Now it is time to go through and sort all of the beautiful copper leaf pieces. There are eight strands, so create 8 piles that will become the leaves for each strand. There are also 8 beads. I decided to have one bead per strand but you can arrange however you want. 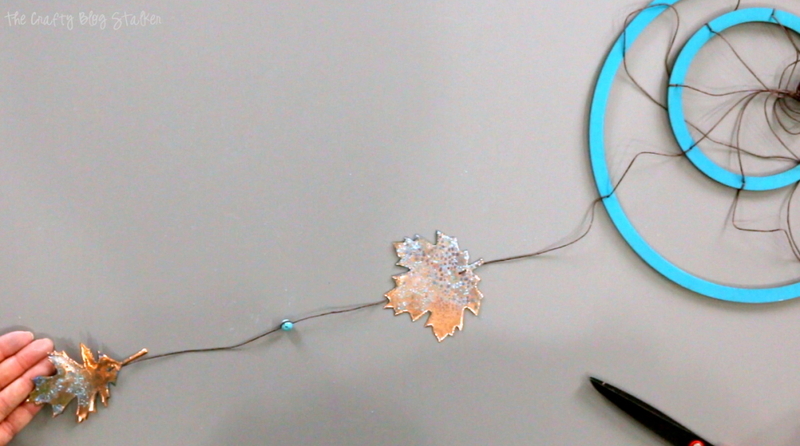 String your beads and copper leaves onto each strand hanging down from the mobile. The leaves are predrilled with two holes so it is a simple thread in and out to hold put them where you want on the wax linen thread. The beads are a bit more tricky. Thread the bead and slide into position about where you want it to be on the thread. Loop the thread back over the bead creating a circle around the bead. Squeeze and press the wax linen thread into itself so it looks and feels like one continuous thread. Slide the bead past the connection, separate the ends and the hold the bead in place as you pull the wax linen thread around the bead. I know this step sounds confusing. Watch the video if you need more assistance. After all leaves and beads have been added, hold the mobile up and adjust the top strings in your hand until the rings are about level. Pinch all of the threads together and then tie around the smallest wooden loop and cut off any excess. The Copper Leaf Mobile is complete! All that’s left is to find the perfect spot to hang it. For now, mine is in my bedroom, but my girls beg for it every time they see it because they want it in their own room! 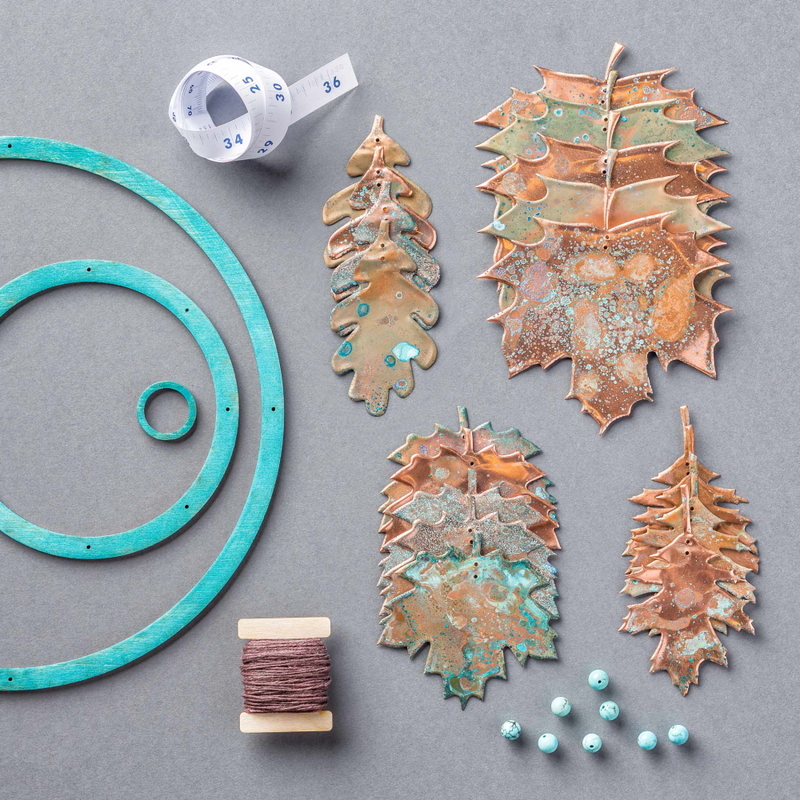 Click here to learn more about Apostrophe S, and purchase your own Copperleaf Kit. The kit cost is $30 plus S&H. Where would you hang this mobile? Share and leave a comment below! Want to see more Apostrophe S Craft Kits? Hi Katie! 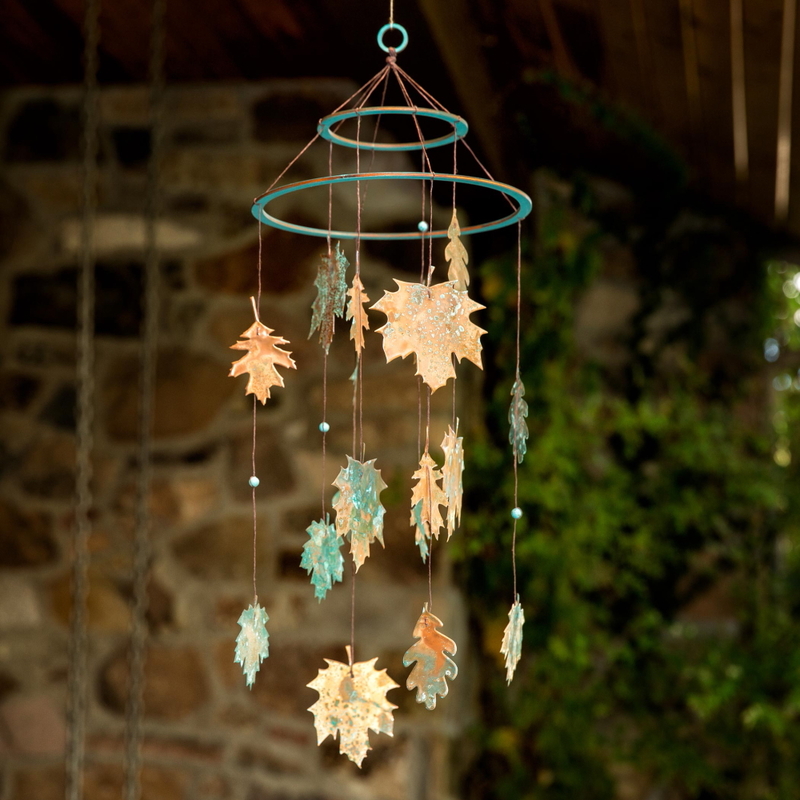 Love these mobiles, the leaf one has such interesting colors. Thanks for sharing and linking up at Dishing It & Digging It! We enjoy seeing your creativity each week! Thank you Lori, I am so glad that you like it! It was a really fun project to put together. Simply lovely, Katie! I love the patina on the leaves and the pretty copper threads! Thank you Megin! I can’t wait for next week’s party! Hey Katie! What a cute fall craft and it looks super easy. Thank you for linking up at Funtastic Friday. Thank you Lacie! I’m so glad that you like my Copper Leaf Mobile. 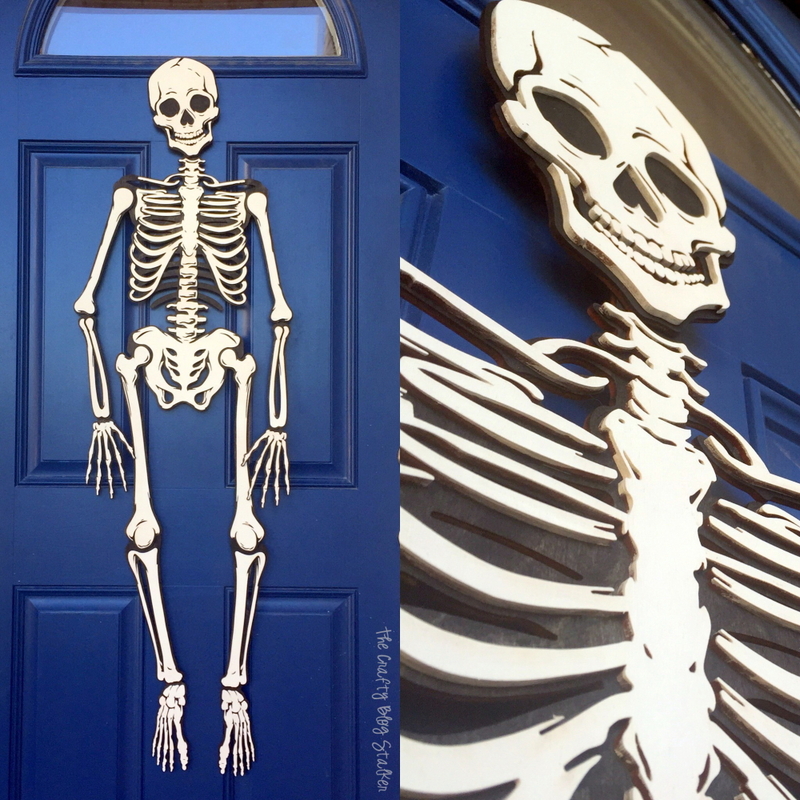 It was a really fun craft to put together. 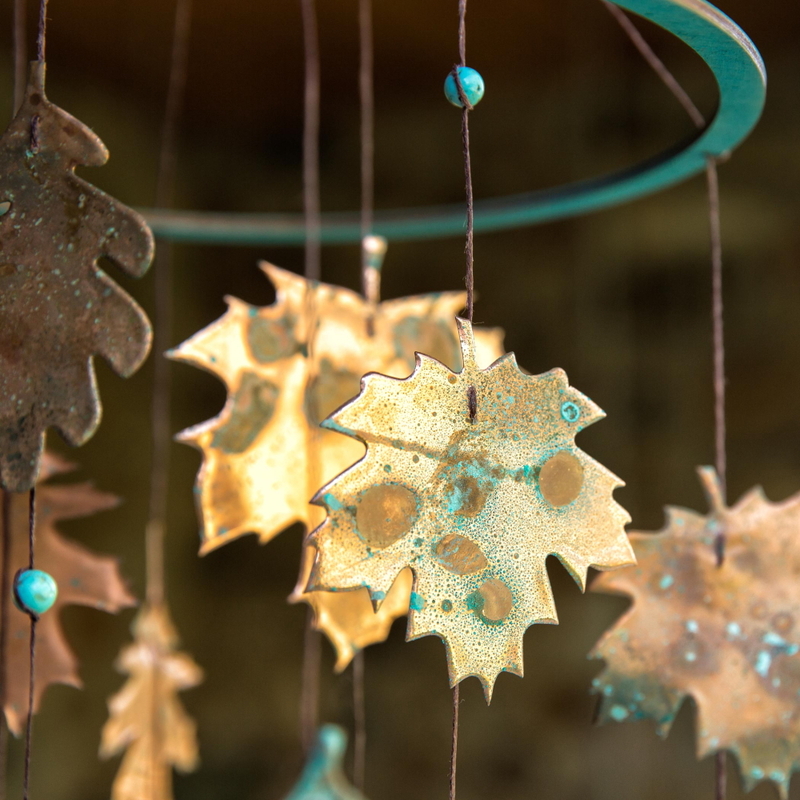 Great copper leaf Mobile Katie, pinned. Very clear tutorial, thank you. Thank you, Joy! I am so glad that you like the tutorial. It was a fun project. Thank you so much for the feature Angie! Heading over to check it out now!